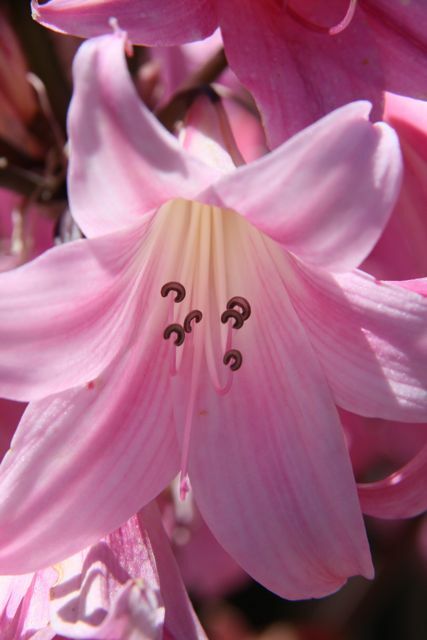 Tall, garish pink lilies are blooming in the dry grass of hillsides and fencelines. 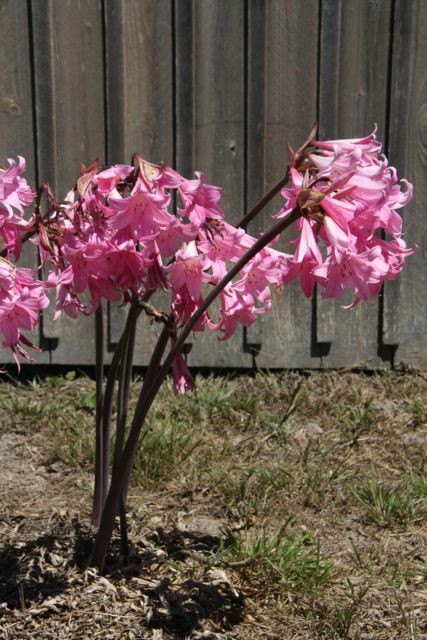 These are naked ladies (also known as pink ladies, Latin name Amaryllis belladonna), which are one of the classic sights of late summer in California. Their name comes from the fact that they don’t flower until after their lush mound of spring leaves have died back and disappeared. 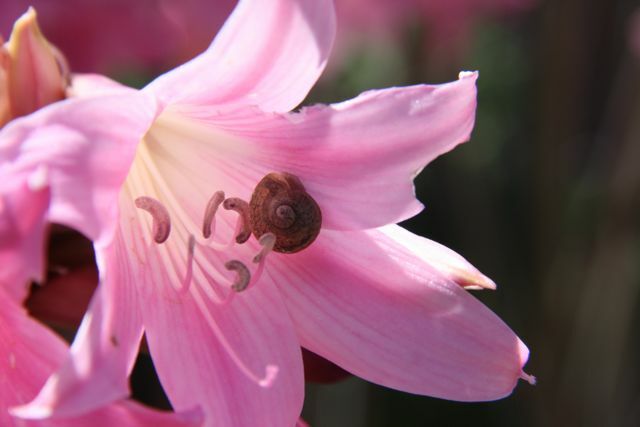 Then each single blossom rises on a long naked stalk. thank you for identifying this! i see it popping up all over the mountain and was wondering about it’s potential as an invasive, glad to know it’s on the light side so I can keep my attention focused on the brooms, licorice plant, thistles … thanks for the great blog, i’m a fan! Will these grow in Eastern NC zone 7A.